The history of Casares can be traced as far as 100.000 years back in time! Then the inhabitants, the Neanderthals lived in caves in the Sierra de la Utrera and lived from hunting and fishing. It was an excellent area with caves, natural water springs and a rich animal life. The Neanderthals where later replaced by the Homo Sapiens about 6.000 years ago who lived in the large cave called ”Cueva de Gran Duque”. They seem to have been dedicated to (except from hunting and acgriculture) ceramic production. They made pots, which were carefully decorated as well as bracelets and necklaces. Later the inhabitants moved out of the caves and built huts and with time created small villages ”villas”. 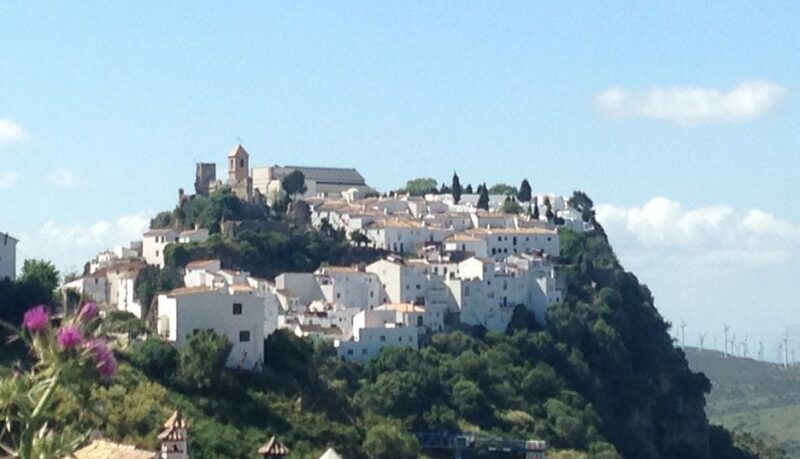 The Romans settled down and created the village Lacipo just outside the current village of Casares. They built roads and advanced water systems and minted their own coins, which could still be found in the ground in the area as soon as 10 years ago. Julius Ceasar is said to have given name to the village Casares. And he was the one contructing the “Baños de la Hedionda” where he took baths to cure his psoriasis. Still people cover their bodies with the mud from the sulphur bath and claim to get better health from it. After the Romans the the Moors came and settled down about 800 years ago and they were the ones building the large fortress still existing on the top of the village as well as the mere part of the original village. The strategic positions and excellent views has made Casares impossible to conquered for several intents as for example the Napoleonic trops. It also was one of the last villages to be christened after the moors. In modern time history Casares was birthplace for the famous writer and lawyer Blas Infante who later became an legend in Andalucia for his political work. 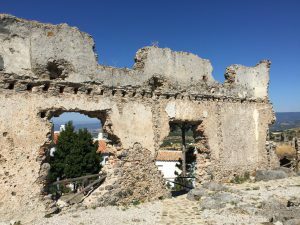 If you are interested of history you will have a lot to explore in the area of Casares! Our collaborator Cortijo el Robledal have a special summer offer 15 June to 15 August! Don’t miss out! 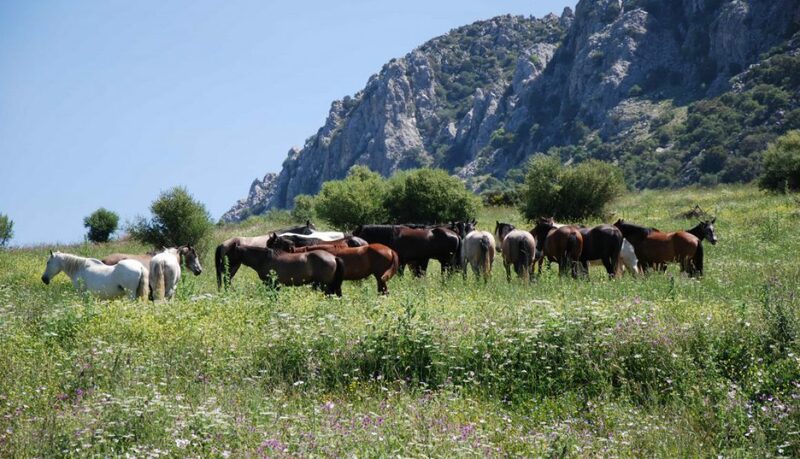 El Robledal have decided to open up their stables in Mijas for visitors during 15 of June to 15 of August. Look at their beautiful PRE horses and take a chance to ride. El Robledal will pay the transport within EU for the horses bought from them in the same period.